Despite the celebrated Kickstarter success stories which seem to pop up almost every week, running an effective crowdfunding campaign is incredibly difficult — even if you manage to hit your funding goal. Take the case of Amadas, a South Korea-based smart-lock company that, despite raising nearly $20k more than it was looking for, has announced it plans to shutter its run on Kickstarter this coming Monday. Citing a misunderstanding among backers as to what it was actually selling, Amadas says it may return to the site next year. 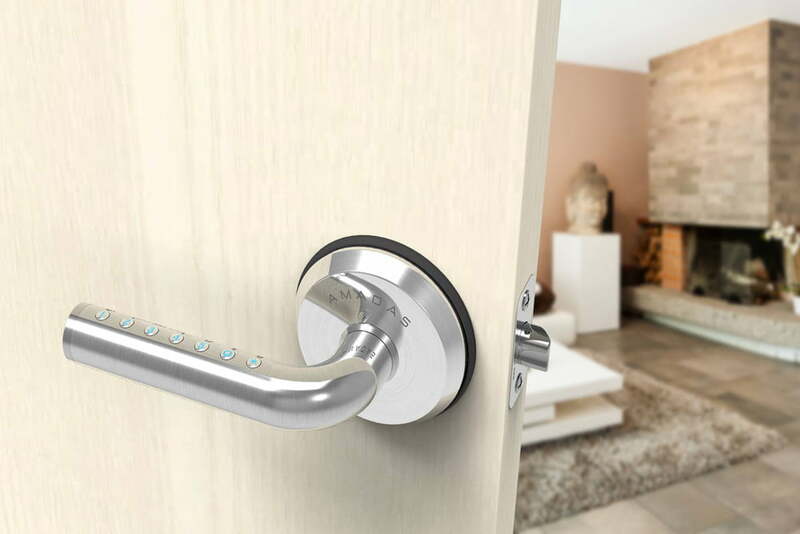 On paper, Amadas’ connected smart lock was to come in the form of a stainless steel lever handle which was intended to boast keyless entry, AES encryption security, and an emergency recharge function. Sounds straightforward, right? Not so fast. While speaking to TechCrunch at this week’s TechCrunch Disrupt in San Francisco, Amadas CEO Eun Min Park said many potential customers were apparently turned off by the product’s Bluetooth-only approach. The desire among customers, according to Park, was to have the ability to unlock the handle from literally anywhere in the world via Wi-Fi — something a Bluetooth-only connection wouldn’t offer. Considering the company started out focused on providing a product compatible with Bluetooth, Amadas says it will likely be a long time before it’s able to integrate Wi-Fi into the product. Park added that “eventually, we will make locks that are compatible with HomeKit, Nest, and so forth,” before acknowledging the security concerns native to smart locks as seen during a recent DEF CON conference. Outside of the apparent controversy, Amadas’ smart locks are actually fairly innovative — and perhaps that is why it still managed to surpass its funding goal despite the confusion. For starters, its wire-free product is comprised of stainless steel (as noted above) and features an easy-to-use embedded keypad powered by a built-in solar panel. Furthermore, owners can take advantage of the device’s emergency recharge capability should the batteries come up empty — with the site saying just two AA batteries should last roughly 12 months. Couple these physical features with an intuitive smartphone application and Amadas’ product looks more useful than shady. Nonetheless, Park mainly attributed the campaign’s cancellation to the company itself not being “well enough prepared” and stated that the firm hopes to “try one more time and get it right this time.” As of now, it appears Amadas is still accepting funding via its Kickstarter page though it’s unknown whether or not the company intends to fill its pre-sold orders.